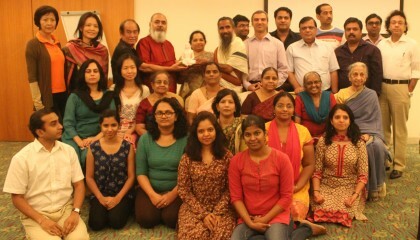 Since the beginning of Guru Poornima, (12th July 2014) the energy surge had been fantastic. On Enlightenment Day it went up even high and that night had been fantastic for astral travel. 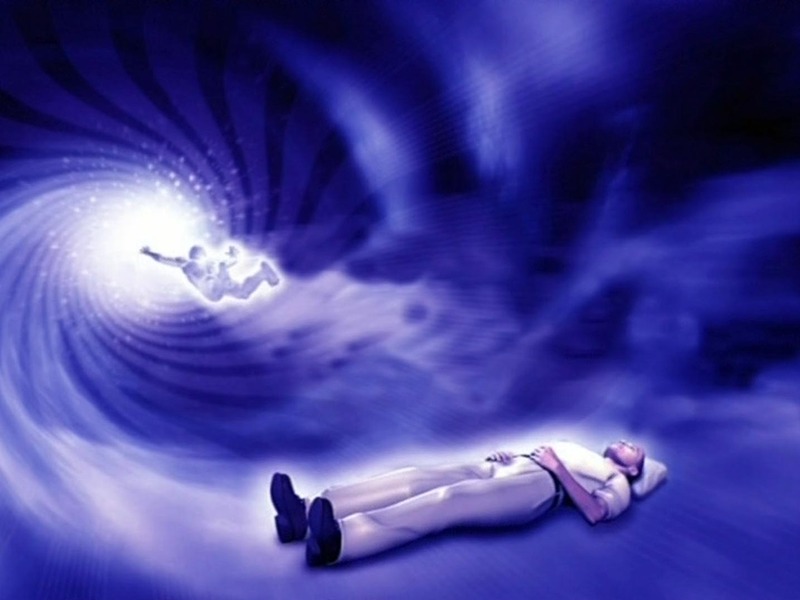 It was very easy to move out of the body and do astral travel for longer. 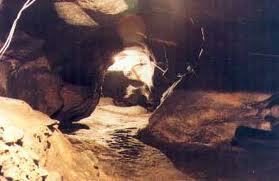 We are in deep forest of Mangarai, Tamilnadu, South India. This spot is surrounded by mountains on three sides and all the mountains are covered by deep forest. Astrally I explored the area and found there are lots of caves in these mountains and many masters are meditating in these caves. 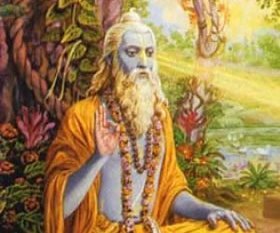 I came across a Rishi who had been meditating there for more than 2000 years in astral dimension. He wanted to teach few things to me… what a pleasure of learning directly from a master! Prem: Why there is so much suffering in this world? Rishi: Because people are not yet ready to learn from their experiences. They are caught up in their wrong attitudes, and negative thought and habit patterns. Prem: How do we help them to become aware of these aspects? Rishi: If awareness levels are low, it is difficult for a person to understand these things… even if the person is suffering. Prem: So, how do we increase that awareness which helps people to understand their wrong attitudes, blind spots and negative thought and behavior habits? Prem: How do I use this wonderful gift you have given me to help people? 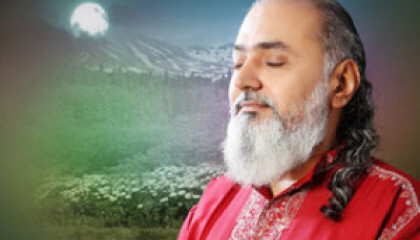 Rishi: Radiate this frequency through “Astral Transmission”. All those who are connected to you with love will receive it. With this I slowly went out of the cave and flew over the mountains and forest with great joy to get back in my physical body. It was this transmission that you all received on the night of 13th July 2014. I will continue this “Astral Transmissions” for next three nights. Last night a major “Astral Transmission” of a specific frequency of “Light of Awareness” was done from deep forest of Mangarai, Tamilnadu to help you see your own attitudes, patterns and blind spots. Those who have astral awareness will get it consciously… others will receive it sub consciously. Everyone who is connected will be benefited. Stay in flow, stay tuned. Astral transmissions will continue for next three nights. To receive it, do Radhye-Krishna breathing with your hands on naval for 5 minutes before sleep and maintain astral awareness. Guruji nothing more to say than to work on myself. So much is being done in all possible manner by you and all the master. Guruji now it is time to work on myself intensely. Gratitude. For the past few days constantly feel connected. Also can feel the grace happening in many ways feel the surge of high energy being received. Now I understand how Gurus are working for changing the vibrations of planet earth. 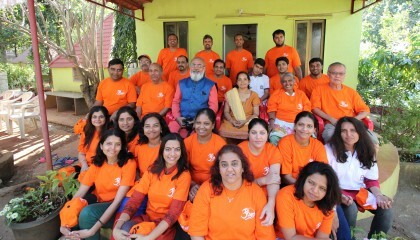 We all are grateful to Guruji and Guruma for preparing us to receive the grace…….. I will do radhe krishna breathing with my family . THANK YOU VERY MUCH FOR THIS KNOWLEDGE. Wonderful Guruji! I was really feeling very happy from Gurupurnima day but I thought it is because it is raining for last 3days the climate is so beautiful , so I am feeling so much pleasant.Now I realized that it is our Mastrer’s work!! Thank you Guruji for sharing such a mesmerizing experience..No words can express enough..So simply bowing down to you Guruji..! I read your blog today; however I have been experiencing a sense of pattern recognition and urge for correction since last couple of days. Now I can correlate them to the astral transmissions. Thank you. Thank you so much sir! I shall do my best from my side to stay connected to receive the grace! Dear Guruji, Gratitude to you for your love and blessings. I did experience your blessing sent across Vancouver, Canada and I wish I could call you to share. My immense Pranams to Babaji, the Guru Mandal, and Gurumaa. Thank you Guruji for everything. 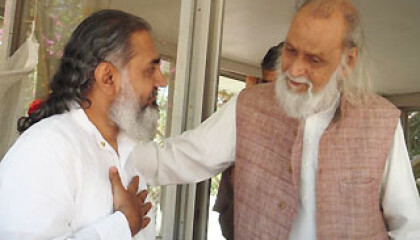 Namaskaram Guruji. Wow! What a magnificent experience! Thank you so much for sharing this with us. Feel blessed for being able to read this. Much gratitude, love and respect Guruji! Pranams. Guruji , I am here in Germany and your graceful blessings are withme . here my each and everyday is like festive for me. 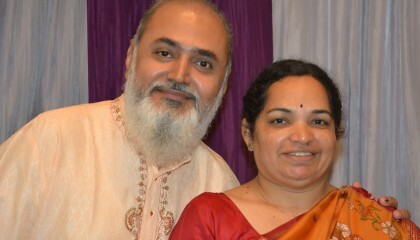 I want to share my guru poornima’s experience which was so graceful for me. On Friday 11 July 2014 to holiday home to the Baltic sea. For meditation I went to the beach with my son. Here now days are long till 9.30 pm sun will not set. I was waiting for sunset n moonrise. It was late for us and no one was on the beach. So my son asked mama, what do we do – shall we wait? I said I will sit for meditation. I sat in the chair and infornt of me was the huge sea, beautiful colours in the sky and the sunset slowly. One red ray came to me which my son caught in camera and without any steps I had gone straight into thoughtless state till 10.20 pm. I slowly came out from meditation and it was 50 minutes. I was so energetic and I saw behin DCC the moon had already come up. It was sandhikal meditation. I was so excited , even though there was cold weather I still felt warm and after meditation I was shivering very much. It was an unforgettable experience for me. I remembered guruji and guruma and keep my head on their feet. Gurukrupa sarvartham. Guruji Guruma pranam, thanks for your sharing expiriance abut Astral Transition from deep forest of Mangarai Tamilnadu. 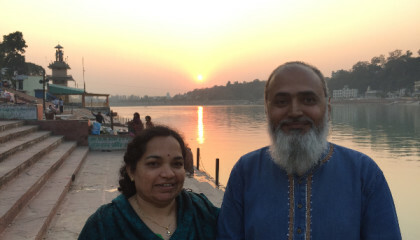 We are correlate and connected to receive the grace, following yr instructions by Radhye Krishna breathing with hand on neval at night before sleeping. Guruji we are greatful to you with heartful gratitude. I bow in awe and reverence with Love and Gratitude, Guruji and Guruma and all the masters. Shivoham! Namaste Guruji, I read this blog today. I always remember your words during the Karmakshalan Retreat – work on your attitudes n patterns which are hindrances to your spiritual progress.Don’t avoid learning. Since them I am constantly working on them being aware all the time. Guruji I have also once again started Kriya , Meditation and Agnihotra since I have come back. I always connect to you and speak to you through my thoughts. Believe me, so much of learning is happening every moment which makes me feel so happy and blissful within. Moreover due to God’s Grace, Guru Kripa and your blessings Karma kshalan is taking place automatically and unbelievably. I am so moved and thrilled to read this blog. I will do Radhe Krishna breathing from tonight and stay connected with you as ever. Pranam to you and Guru Ma and Gratitude to both of you for doing so much for all of us. I am really blessed to know both of you in person. I am always eager to hear from you and please correct me whenever you feel I am off track.Also eager to hear more about the mystical Mangrai. Thank you Guruji , I feel as if you are laying an ‘astral escalator’ for us for a pathway to loftier dimensions. The most sublime metaphysical and mystical truths presented to us as if in a capsule pill , as in the 49 Healing Breaths and 6 step meditation , karmakshalan and awareness of Awareness. What a blessing ! Thank you. 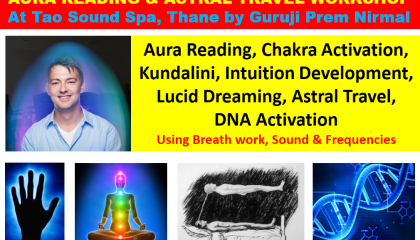 I wish to learn astral projection.please inform the classes schedule and fee details.